An AES/EBU cable of exceptional achievement, the Orchid has captured the passions of digital devotees and the respect of analog enthusiasts worldwide; both for recording and playback. The Orchid is smooth and detailed with amazing transient attack. Only the finest materials are used in the Orchid's construction and the technology is proprietary. 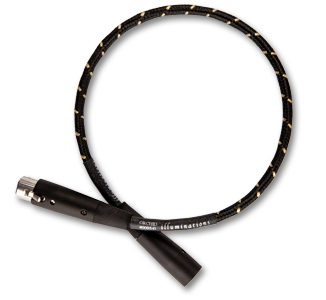 Orchid is sold in 1/2 meter increments and is only available factory terminated with "studio grade" XLR type connectors with silver plated contacts. DUT: Orchid 1m terminated with XLR type connectors.